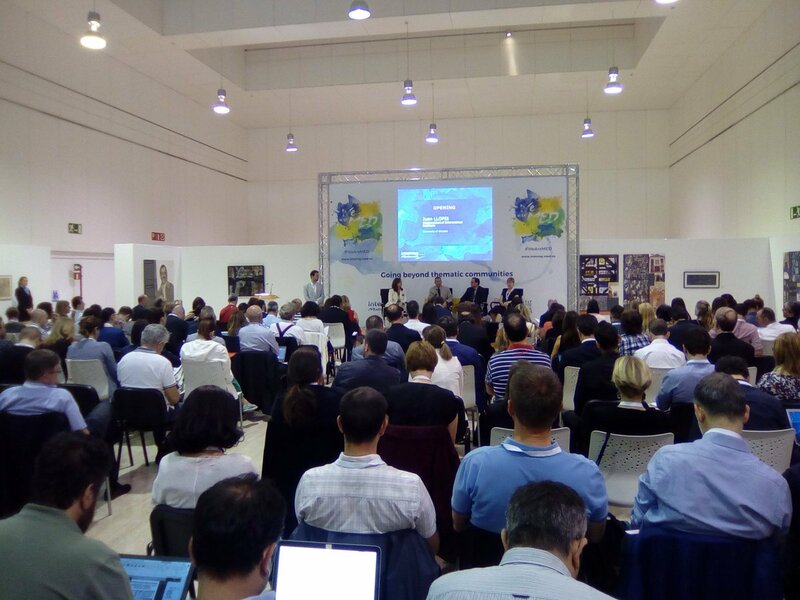 The CPMR’s Intermediterranean Commission (IMC) took part in the “We are MED” event, organised by the Interreg MED Programme, in Alicante, Spain, on 17-18 May. The event gathered more than a hundred participants representing the whole community of horizontal and modular Interreg MED projects. Participants from the blue, green, social and creative, efficient buildings, renewable energy, urban transports, sustainable tourism, and biodiversity protection communities took part in a team building exercise, where they got to know each other. These interactions gave them a chance to find about the preliminary results and experiences of each other’s’ projects, to discuss initial good practice, and to extend their networks. The eight horizontal projects then presented their communities. This including the blue growth community featured by InnoBlueGrowth and the biodiversity protection featured by PANACeA, both of which actively involve the IMC as a project partner. Reinforcing exchanges and sharing knowledge on the themes tackled by each project was a way for Interreg MED to reinforce the integrated approach it embraces. This approach allowed the participants to become more aware of the way issues are linked together and how working in an integrated way to produce their results was fundamental for them to be more efficient and impactful. 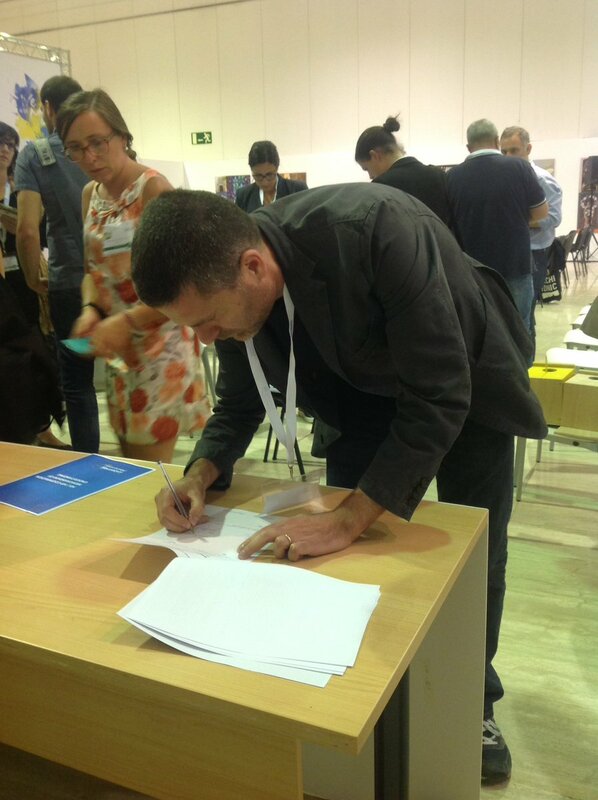 In addition, to ensure the effective development of all modular projects in the Communities, the project partners were invited to sign a symbolic ‘Memorandum of Understanding’ officially outlining their commitment to providing outputs to their assigned horizontal project. Finally, coordination meetings with Interreg MED were held, giving representatives from horizontal projects the opportunity to share their first impressions on their experiences of community building, communication, and capitalization. Discussions addressed their successes, challenges and how to tackle them both from a methodological and content perspective. These meeting also offered capacity building regarding the integrated web platform being developed by the Programme, which should go live soon. The main conclusions from the event underlined the need for horizontal project partners to strive for improved collaboration between their respective communities by finding a better way of coordinating themselves and working together. This meeting was organised with the aim of developing more interactions for the production and provision of strong integrated results to be used for the work of Interreg MED’s Axis 4 – which will kick off in September 2017 – and to provide input into the mid-term review of the Programme. InnoBlueGrowth – Follow us on Twitter! PANACeA – Follow us on Twitter!